There is a pressing need to accelerate the development and deployment of advanced clean energy technologies in order to address the global challenges of energy security, climate change and sustainable development. This challenge was acknowledged by the ministers from the G8 countries, China, India and South Korea, in their meeting in June 2008 in Aomori, Japan, where they declared the wish to have IEA prepare roadmaps to advance innovative energy technology. To achieve this ambitious goal, the IEA has undertaken an effort to develop a series of global technology roadmaps. The roadmaps will enable governments, industry and financial partners to identify and implement the steps they need to take to accelerate the required technology development and uptake. 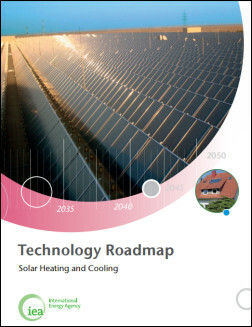 The underlying objective of this roadmap is to advance the global uptake of solar heating and cooling technology in OECD countries as well as in developing countries and transition economies.